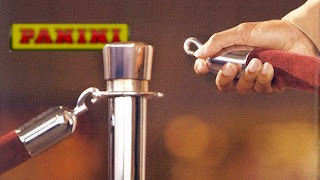 I kept from writing a post about Panini at the National until now because I knew writing too early would just lead to tons of updates and I wanted to have all the information in one location. Even now, with less that 48 hours until the start of the National, I’m sure there will be more announcements to come, so forgive me if I’ve left something out. 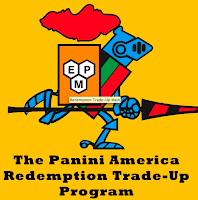 We must start with Panini’s wrapper redemption program. 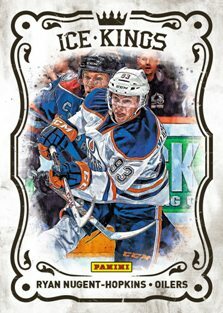 By opening packs of Panini cards at their booth, (#D1) collectors will receive special packs that contain cards exclusive to the National along with some other incredible items. 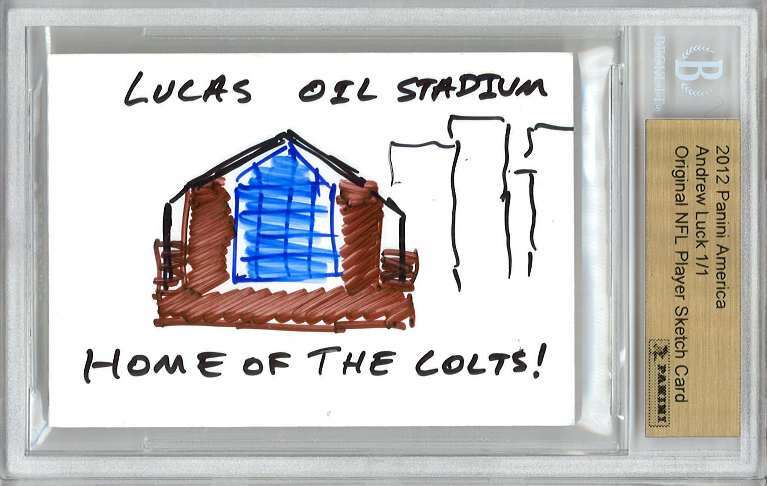 Items that can be found in these packs include cards from a show-exclusive base set of some of the star player, legends and rookies found in other Panini products, Cracked Ice parallels, Team Colors sets, Tools of the Trade Towel Swatch cards, instant-win packaging printing plates, one of a kind 2012 top NFL rookie sketch plus autograph cards, instant win autographed memorabilia like team hats, footballs, helmets and more..
To get these packs there is a must-bust program. Just bring your purchased Panini boxes to their booth and open them infront of a Panini representative. You will get a different amount of redemption packs depending on which product you bust. Here is what your purchased hobby boxes will get you. VIP and SuperVIP pass holders can look forward to a bonus six-card set in their gift bags. 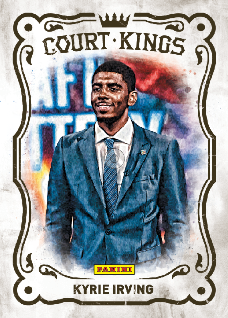 The set, styled after the legendary Diamond Kings art cards, will include Robert Griffin III, Andrew Luck, Ryan Nugent-Hopkins and Kyrie Irving. The last two cards are feature mystery subjects will be unveiled during the opening day of the National, Wednesday, August 1. 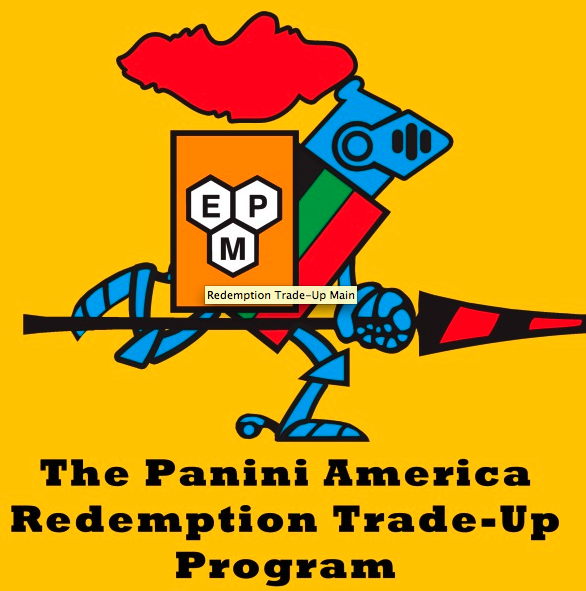 Panini America will also offer a Live Redemption Trade-Up program live at the Panini America booth. Collectors in attendance holding multiple outstanding redemption cards will have the opportunity to trade them in for a card or cards of higher value. For example, a collector holding four outstanding redemption cards with a combined Beckett value of $100 will have the chance to swap those four cards for one $100 card via a carefully constructed grab-bag system. Prior to the National, the Panini America Customer Service team will assign values to replacement stock and will offer grab bags containing one autograph or prime memorabilia card at $50, $100 and $200 levels. Each grab bag will offer minimum values at the depicted levels but many will deliver more than the listed value. Some $50 grab bags will contain cards valued at as much as $80; $100 grab bags will contain cards valued at as much as $140 and $200 grab bags will contain cards valued at as much as $250. Each grab bag may also include live onsite redemption cards good for boxes of product. Panini will also offer a very special experience for collectors who are willing to spend some serious cash on cards. Collectors who purchase at least $6,500 worth of select Panini America products on the show floor through select retailers will gain access to a once-in-a-lifetime VIP experience that is by-invitation-only on Saturday night. This private reception will include Hall of Fame special guests, Black Boxes, free autographs and the chance to bid on rare Panini America experiences. All products must be purchased on the floor of the National at either Dave & Adam’s Card World, Blowout Cards, Pittsburgh Wholesale, Atlanta Sports Cards or Marty’s Sports Cards. At the time of purchase, collectors will receive their product and Panini Bucks. Earn 6,500 Panini Bucks and you can redeem them at the Panini America booth for an all-access invitation to Saturday evening’s VIP event, which will also include case wars battles with 2011-12 Elite Hockey and 2011-12 Limited Basketball for a chance to win exclusive Panini America experiences. I will have one more very important post, with information about the National, tomorrow. Don’t miss it.